Carpet, Wood, Tile, Window Treatments & Drapery! Make your home beautiful with our interior design ideas. Visit our showroom today to find our spectacular selection of Hunter Douglas window treatments, carpet, wood and tile flooring, custom drapery, wallpaper and upholstery for both residential and commercial spaces. When it comes to interior design, finding everything you need under one roof can be a challenge. Most retail stores focus on specific design elements such as window treatments, rugs, or floors. But here at Speedwell Design Center, we take a more holistic approach to the process. We've been a family-owned and operated business since 1932, and have always striven to be your one-stop source for all your interior design needs. Let us take a moment to discuss our most popular product categories. No matter what you need, our experienced design professionals are here to help. From product selection and measuring to custom orders, they'll be by your side each step of the way. And after you've placed your order, our expert in-house installers can install all the products we sell, including carpet, tile, and wood floors and window treatments. We can assist you with as much or as little of your home project as you like. Want to get a look at our impressive inventory? Visit our spectacular showroom in Northern New Jersey. Our friendly, courteous, and accommodating staff will be able to help you with anything you need. Add warmth and beauty to any indoor space with one of our solid wood floors. Choose from several different wood species such as oak, maple, and hickory. We also carry laminate and engineered wood floors. We carry a wide array of carpets from many of the leading brands. 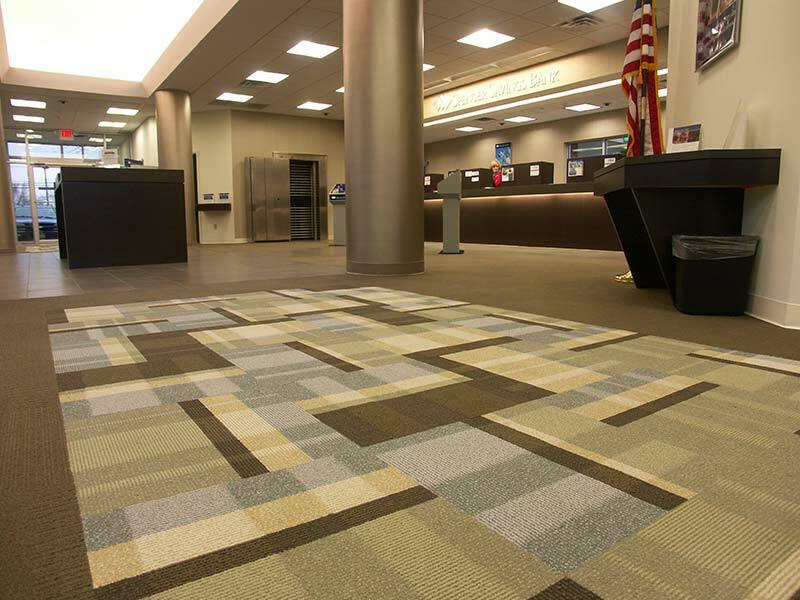 Nylon, wool, and synthetic are a few of the carpet fiber options available. Additionally, we can help you design a custom area rug or stair runner. For any room, such as bathrooms, kitchens, and outdoor areas, we offer many types and styles of tile materials for your flooring needs, including natural stone, porcelain, ceramic, glass, and more to transform your home. As a proud Gallery dealer of Hunter Douglas products, our window treatment collection is something to behold. We carry blinds, shades, shutters, privacy sheers, window shadings, roller shades, window panels, Roman shades, and more. Made of wood, metal, or fabric, these decorative additions are highly functional, and energy-efficient. Once you've had new window treatments installed, custom drapery completes the look. Our expert designers will work with you one-on-one to design panels, valances, fabric shades, or a number of other drapery types in the colors and style you desire. Your ability to customize your space does not stop here, however. Wallpaper adds personality and bold new energy into any room. Our library contains an incredible variety of patterns and colors to suit all styles.. Also, we offer upholstery fabrics that give new life to old furniture. These fabrics help you create a new look for any room by matching the bedding, upholstery, and pillows.